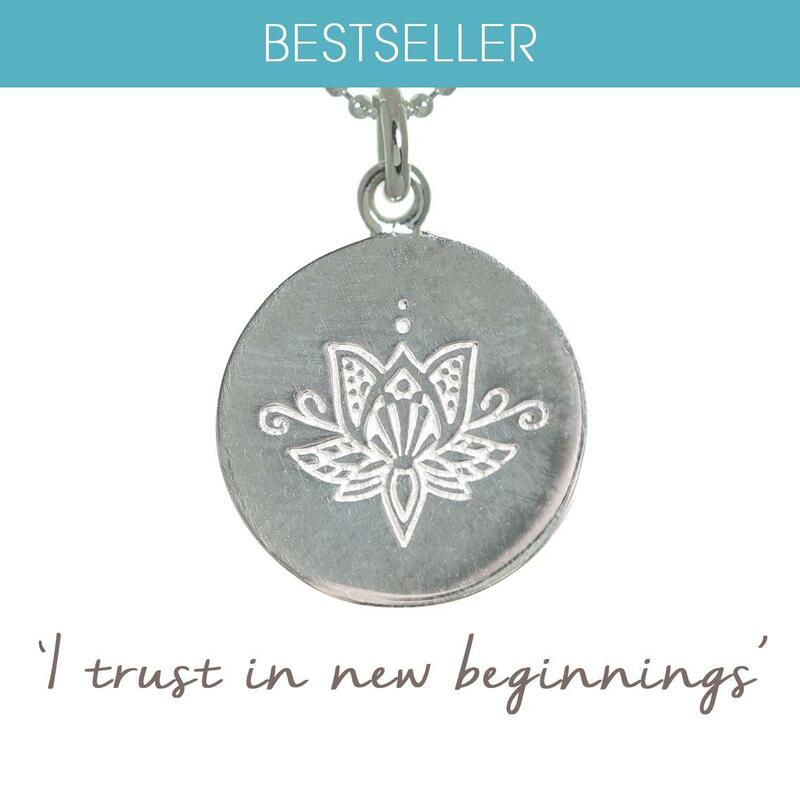 Our newest disc necklace is engraved with a beautiful ornate Lotus Flower, and the mantra it represents is, ‘I trust in new beginnings’. We already have this Lotus design on our larger ‘My Mantra’ personalised necklace, and it has proven so popular that we have also brought it out as one of our small discs. 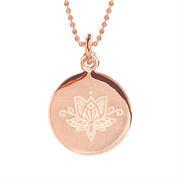 The Lotus is our logo for Mantra, as it has such power as a symbol of renewal, strength, purity and hope. 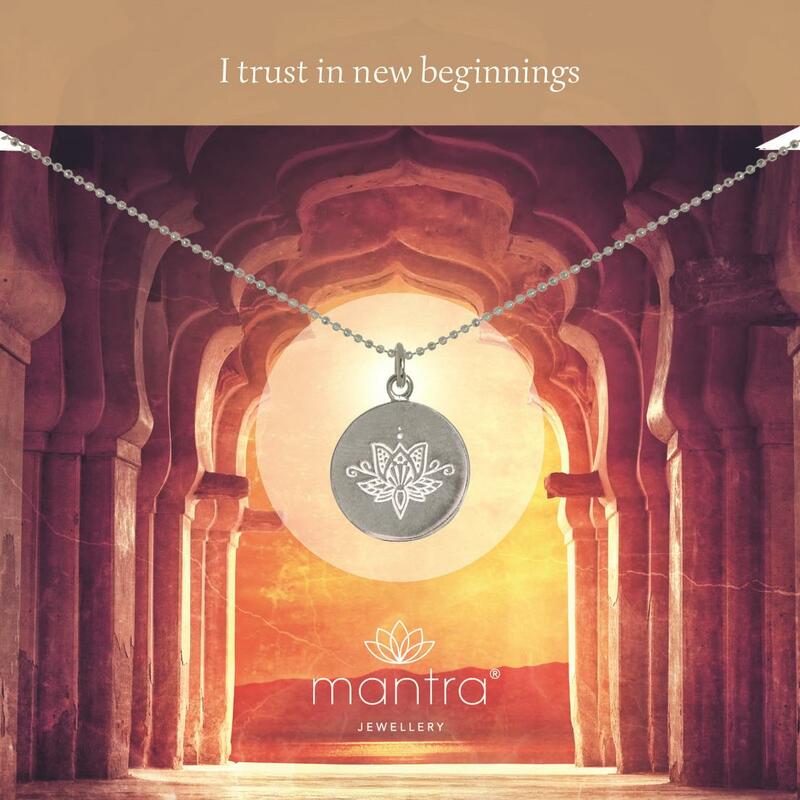 As it starts over each day, the Lotus is a strong symbol of new beginnings – reminding us that, as each day starts afresh, we have the chance to begin again ourselves. To behave differently, to think different thoughts, to change how we react and respond. And to welcome new opportunities, new projects, new initiatives and new people into our lives – rather than standing still. 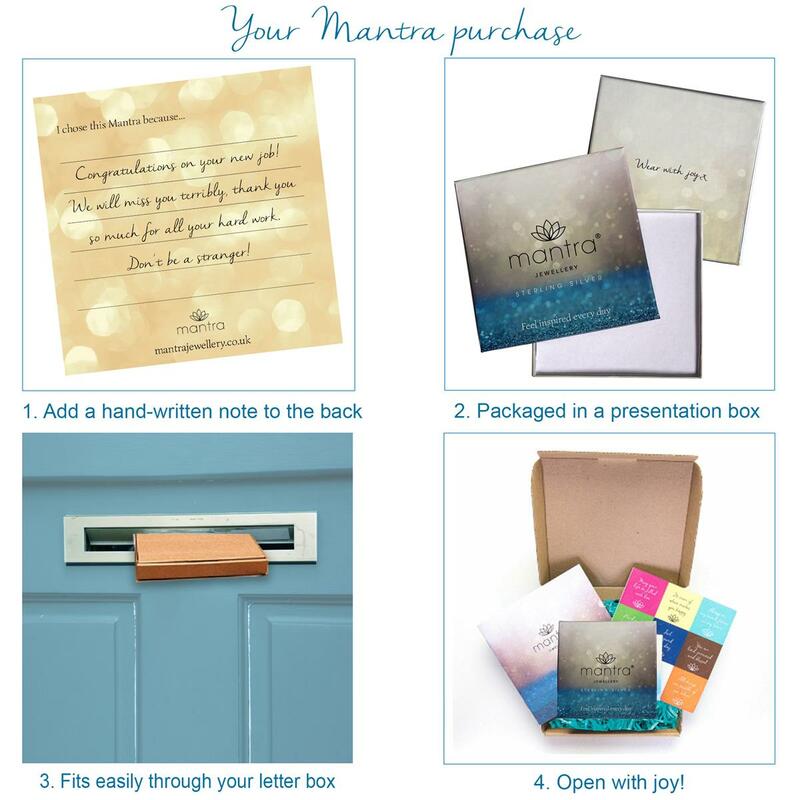 A mantra is a powerful set of words, created to make us feel stronger. Repeating a mantra resets our mood, and gives us moments of calm and clarity. 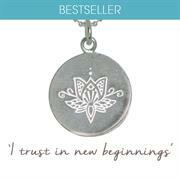 Hold onto your jewellery when you feel you need its message, and bring to mind its mantra. 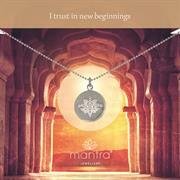 Wear your Mantra Jewellery to feel happy and uplifted throughout the day.